I'm very aware at the moment that my blogging is becoming increasingly further and further away from where this all started: food. In this blog post I wanted to share my journey and the evolution of my approach to ‘health.’ I wonder whether you too can imagine yourself taking this journey, or maybe it’s that you’re already on it. 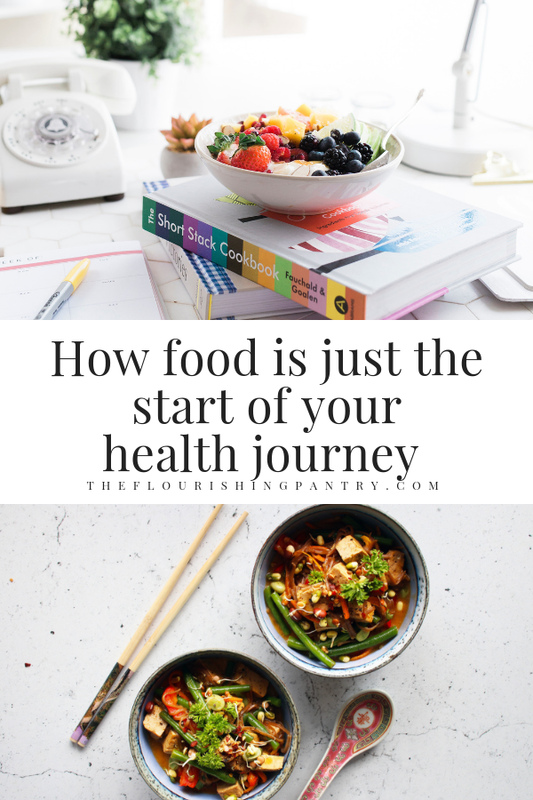 Food was definitely the starting point for me on my health journey, and I would bet that a lot of you might feel the same. Food is something we all have to be aware of: we can't survive without it. Every day we have to make choices about what to put in our bodies. And as time goes by (some quicker than others!) we become aware that depending on the decisions we make: the type of foods, the timings we eat, the amount we consume and the context in which we have our meals, food has a massive impact on how well we feel. I actually went to an event last weekend where Dr Marilyn Glenville, nutritionist, psychologist, author and broadcaster, called the diet "the foundation of your health." I couldn’t agree more. Since changing my diet in 2016 I feel like I’ve come a long way in the discoveries I’ve made about my health. Absolutely my current approach started from a foundation of adjusting what I eat. That process has helped me listen to my body, go through restrictive eating and come out the other side, take online courses, read voraciously, follow qualified experts in the field of nutrition and come to an acceptance of what suits me. Not a one-size-fits-all miracle diet, not a fits-neatly-under-a-title black and white list, but a way to choose food and enjoy it in a way that works for my body. But during that journey I realised, there are other ways to make my body feel good. I’ll be brutally honest. When I started changing my diet a big driver for me was weight-loss. I had got to a size and shape I wasn’t happy with and through a restrictive diet I was able to drop pounds I previously hadn’t been able to shift. What I committed to myself in that process of restrictive eating was that until I lost X pounds I wasn’t going to go to the gym or do exercise. I was scared that exercising would mean I retained weight, turned fat into muscle and that I would stay just as ‘big’ as I was already. I definitely had in my head that ‘smaller’ was better. It was a toxic way of thinking but it was how I’d been programmed since a teenager. Once I ditched the restrictive diet I was already becoming more involved in the Health Bloggers Community and discovering amazing people sharing tips and expertise from their positions as Personal Trainers and yoga instructors. I wasn’t a total stranger to exercise. I’ve run two marathons before so I do understand what it takes to exercise regularly and the effects it can have. But I never really combined what I was eating with a healthy attitude to exercise. The marathons were a one-off challenge. The training involved wasn’t ever something I intended to incorporate into every day life. Starting to follow new accounts that were focused on body positivity, #thisgirlcan as well as women lifting weights and recommending resistance training felt like a whole new world. I ditched the “I can’t exercise until I’m X weight” attitude. I never did get down to that weight anyway and right now I don’t even weigh myself so who knows if I ever will! I started going to FRAME in London and enjoying kettle-bell classes. When I moved to Dublin I joined F45 and loved the mix of cardio and resistance. The structured environment and supportive trainers meant I was lifting dumbbells and barbells that I would never have touched on my own. I now go to a gym using a personal training plan that is mostly resistance based . Instead of weight-loss goals I have strength based incentives like being able to do pull ups. I also embraced yoga as a different way to care for my body. I was lucky enough to work with a 1:1 yoga instructor at my home in a collaboration with Yogi2Me and then win tickets to Soul Circus yoga festival where I immersed myself in 3 days of yoga, talks and great food surrounded by amazing people. I now prioritise exercise. I do it in the mornings so I don’t make excuses later in the day. It makes me feel good, helps me sleep better at night and I feel better for being stronger rather than on a constant quest to be skinny. The final piece in the puzzle for me has been mindset. Particularly in the last year having left my full-time job and transitioning my work from my previous career, I have been more aware than ever of the affect your mind has on your overall health. Your ability to do anything is based on how you approach it mentally and what you believe can happen. The idea that the future only exists in your mind and that you get to choose how it unfolds is so powerful. Discovering online coaches and the myriad of other experts helping people be who they want to be, achieve great things and break-through blocks in mindset has been such a revelation. 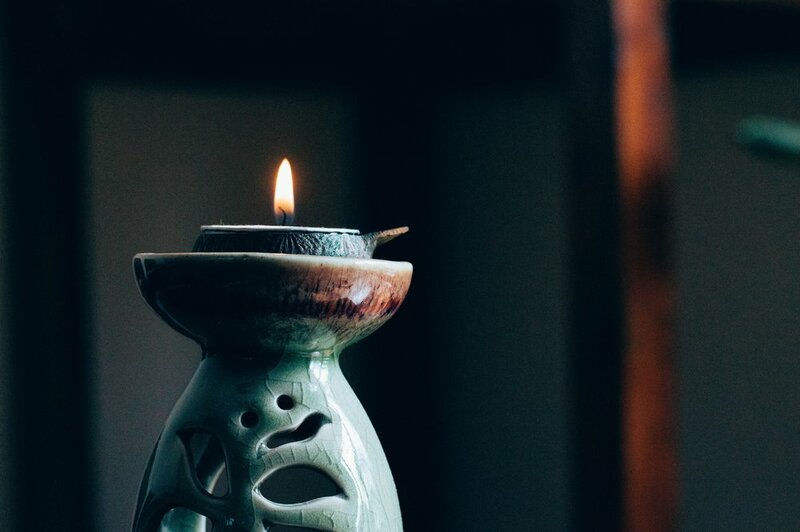 It’s my current obsession and why you’re finding loads of pieces from me lately on mindset and the benefits of meditation and mindfulness. The changes aren’t something I expected necessarily – they’re not always linear. You don’t do 10 minutes of meditation in the morning and automatically do better work or become a nicer person. You don’t read affirmations or practice gratitude and instantly feel happier. But gradually over time you do notice changes for the better: more focus, less procrastination, increase in tolerance and understanding of others, less blame for the negative situations you find yourself in and a more positive approach to the world and what it offers you every day. And an openness to the possibilities life has to offer you. This obsession with the power of the mind has led me to study coaching and now offering coaching on a 1:1 basis to others who want to make changes and leap into the world of wellness like I have, but feel there’s something holding them back. It’s exciting. It’s scary. But it’s where this journey has taken me so far and I can’t wait to see where it goes next. And it all started with food. Maybe right now you can’t see all this happening. And maybe it won’t! That’s totally fine. Food is a great place to be and learn more about yourself. But if you’re anything like me, and you find that the food you eat is getting you curious to learn more about how amazing your body is, it might just be a slippery slope to a truly holistic approach to your health that you’d never had before. If you’ve been on a health journey like me and are now building a wellness business, why don’t you book a free step-forward coaching call with me so to see if I can help support you? No strings attached, I’d love to help. Pin this to Pinterest and save for later! Newer PostWellness Words: What does Wellness mean to you?